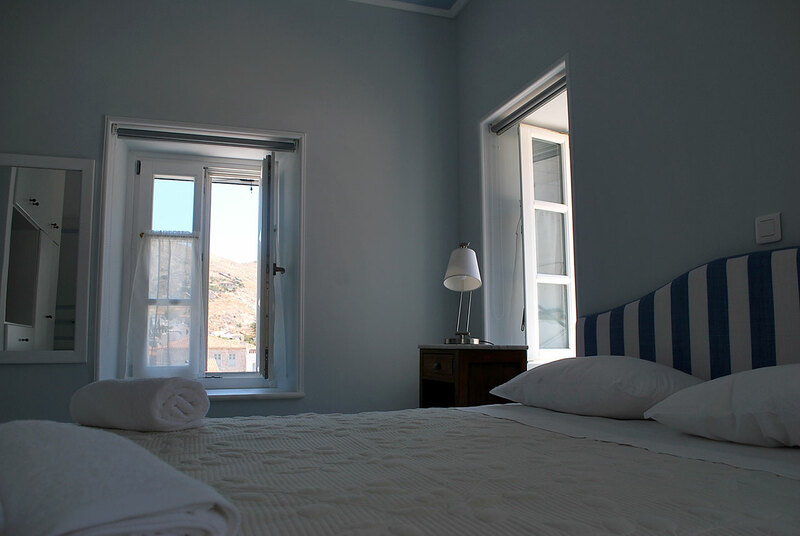 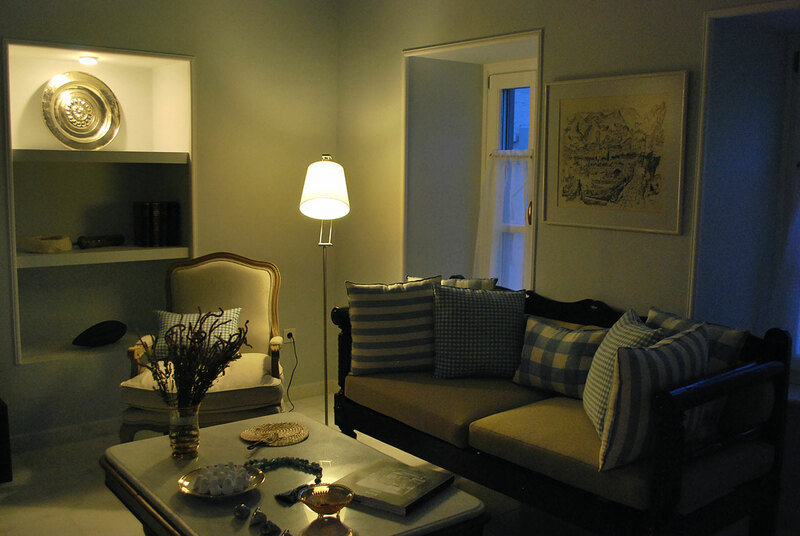 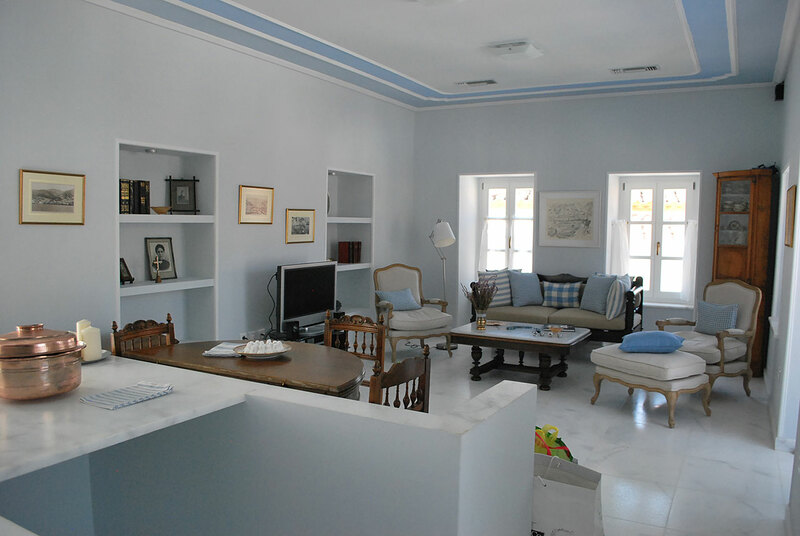 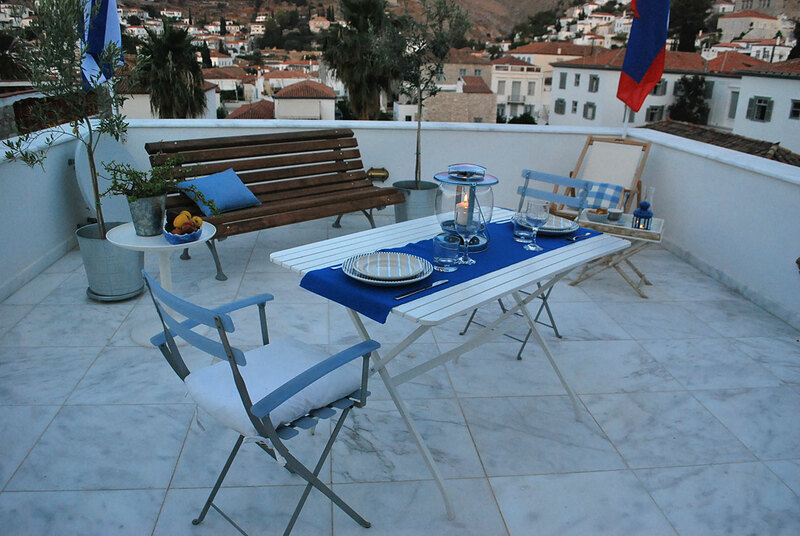 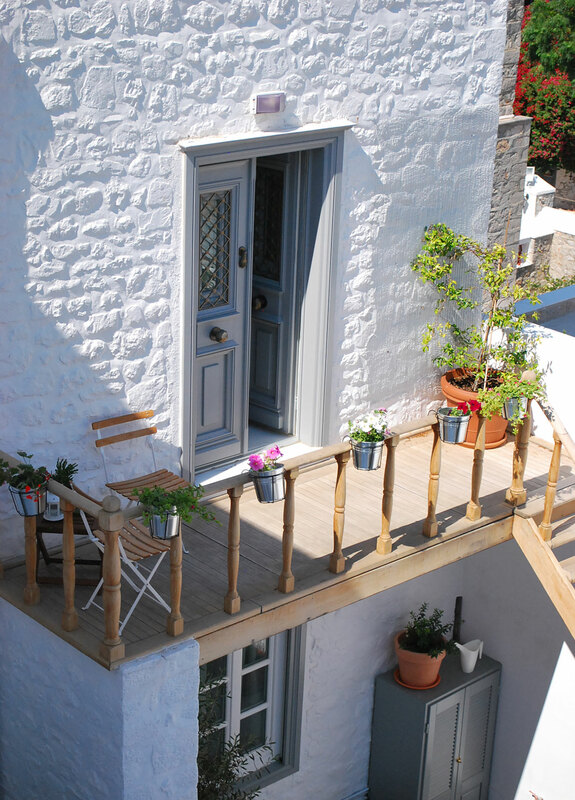 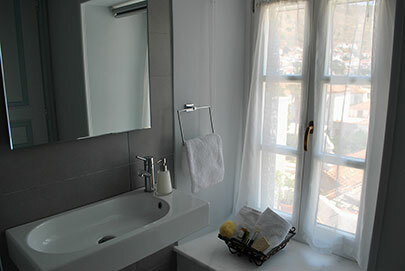 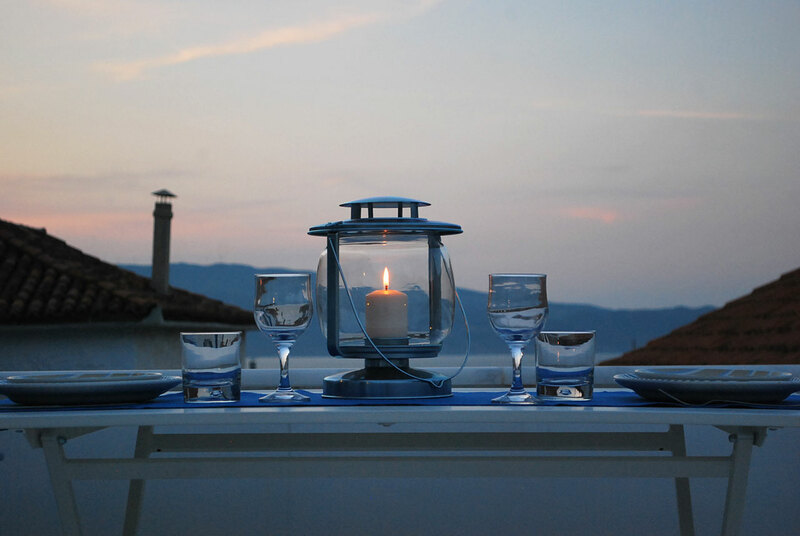 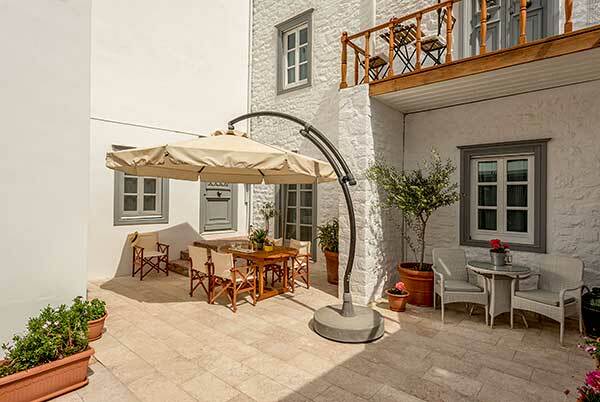 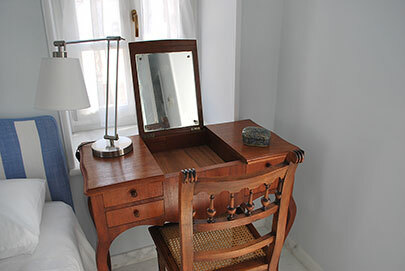 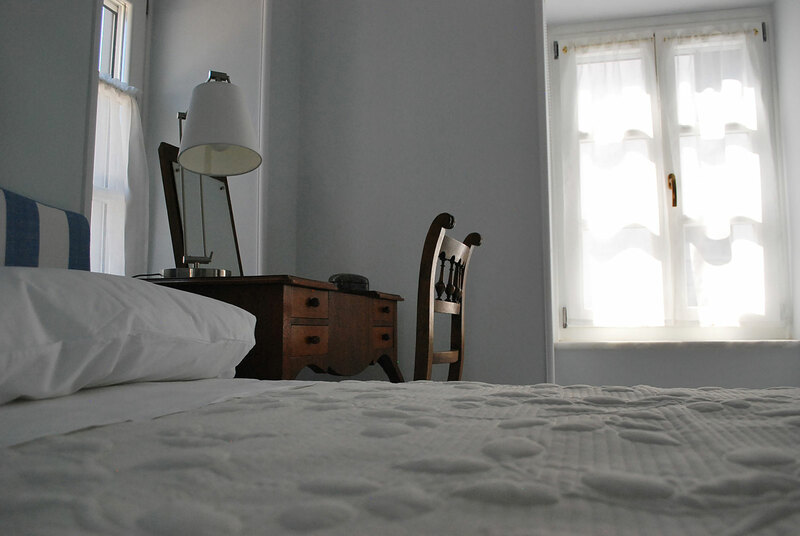 About 80 square meters (860 square feet), occupying the upper level of the house, boasts wonderful views of the elegant Hydra town, the clock tower and the harbor. 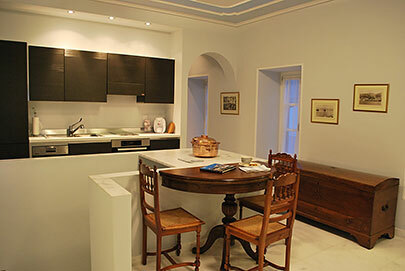 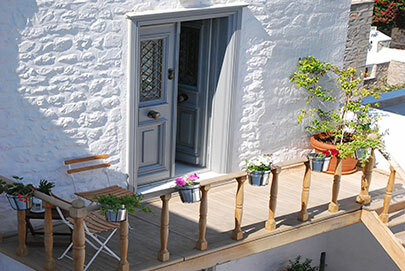 Entrance to the apartment is through a marble staircase leading to an open plan living/dining area and kitchen surrounded with windows, overlooking a picturesque terraced step street from on side, the town of Hydra and the harbor and the sea to the other side. 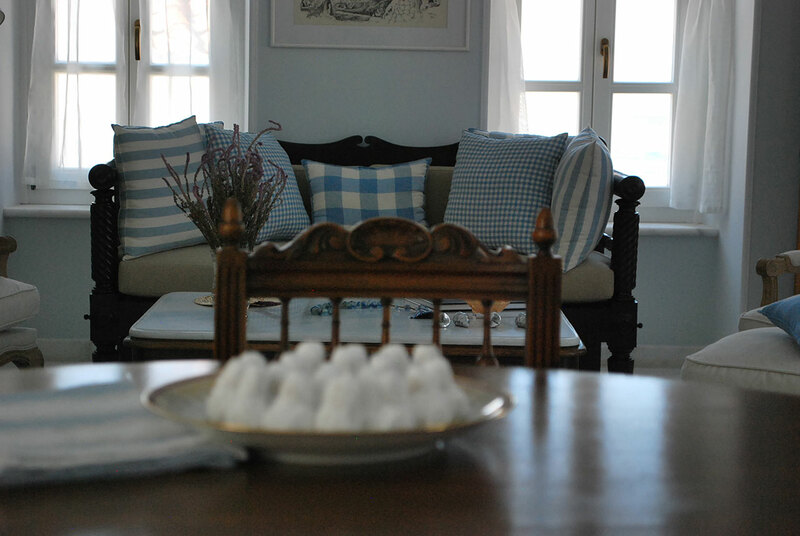 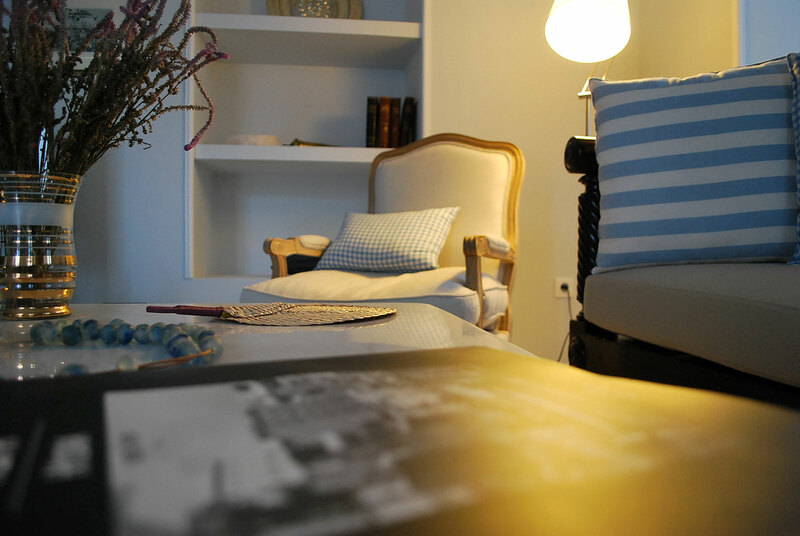 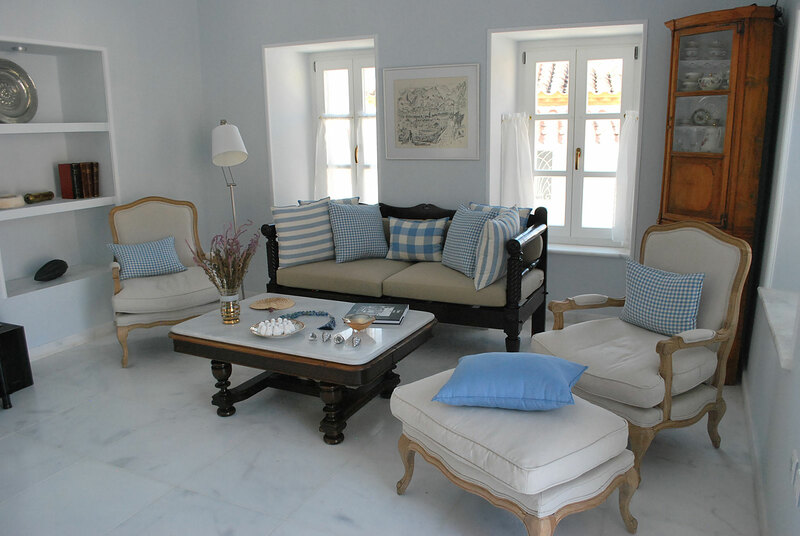 The interior decoration and styling in light blue, grey and earth tones, carefully fuses elegance and comfort, with beautiful fabrics and antique traditional furniture, creating an inviting and relaxing atmosphere, which combines traditional chic, with contemporary luxury facilities. 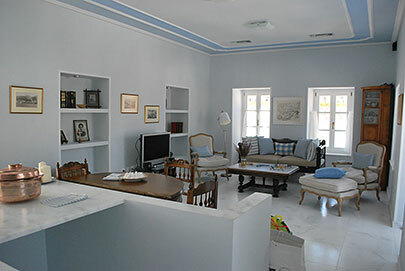 The living area is equipped with LCD TV (Satellite), DVD Player and sound system. 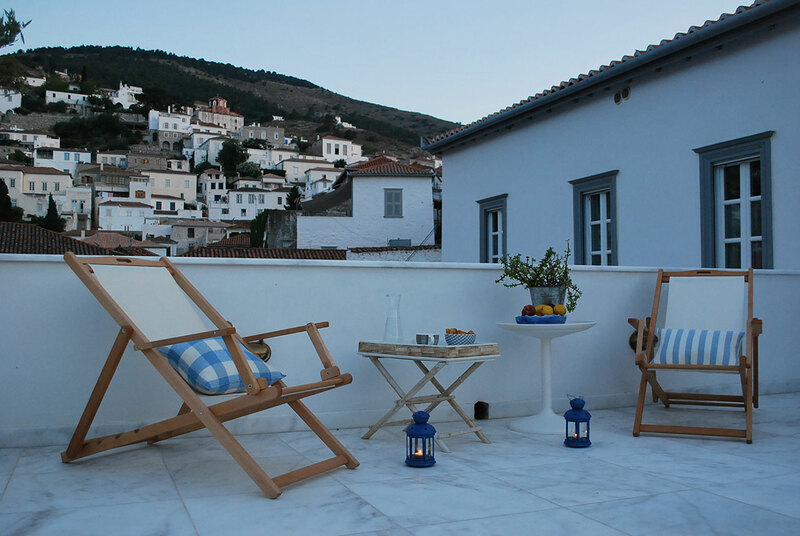 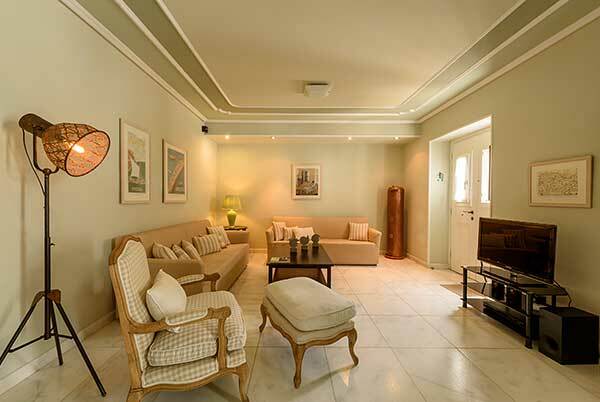 The living area opens to a very spacious marble floor terrace, which commands wonderful uninterrupted views of the amphitheatrically built town of Hydra and its harbor, rare for a property of its location. 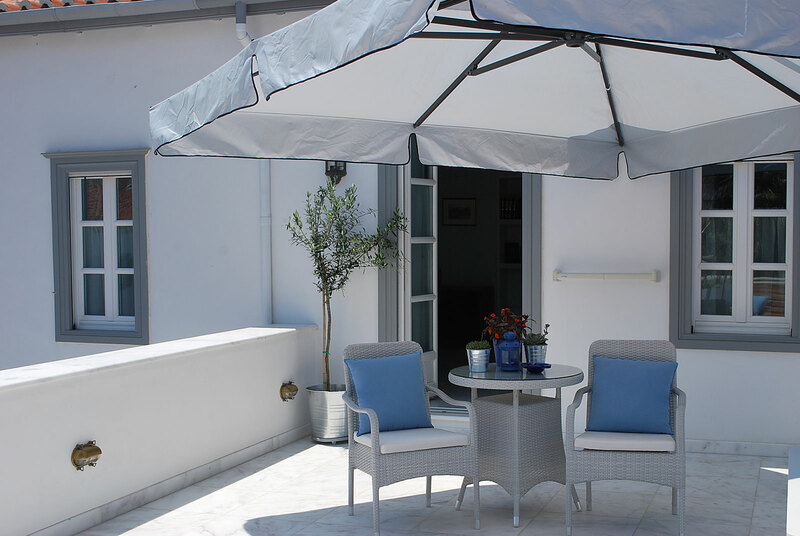 The terrace, furnished with comfortable and elegant furniture, sun-loungers and a dining table sitting up to 6 people, shaded by an over sized umbrella, is ideal for outdoor entertaining and convivial gatherings. 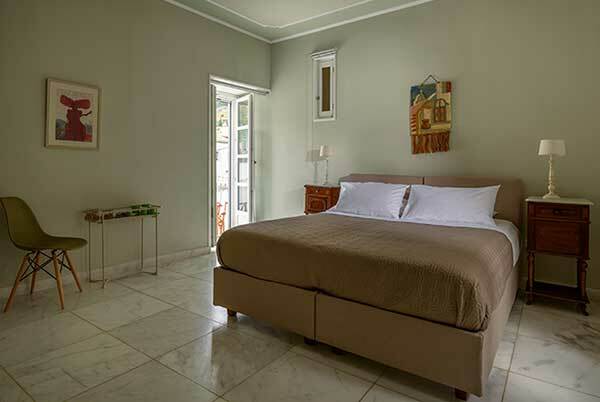 Next to the living area there is a small hallway leading to a guest WC and to the spacious double bedroom with ensuite bathroom with Jacuzzi shower facilities. 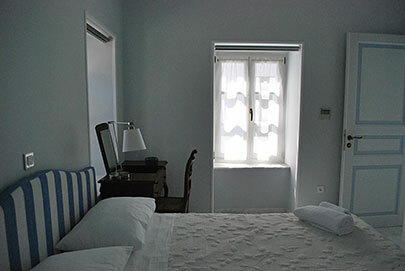 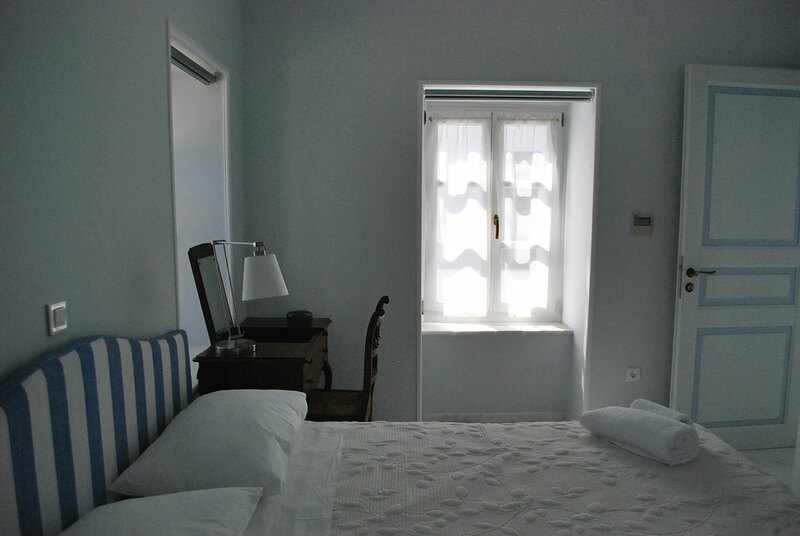 The bedroom has wonderful views of Hydra town. This bright and airy apartment is ideal for a couple looking for a romantic getaway or for a small family and can accommodate up to 3 guests.